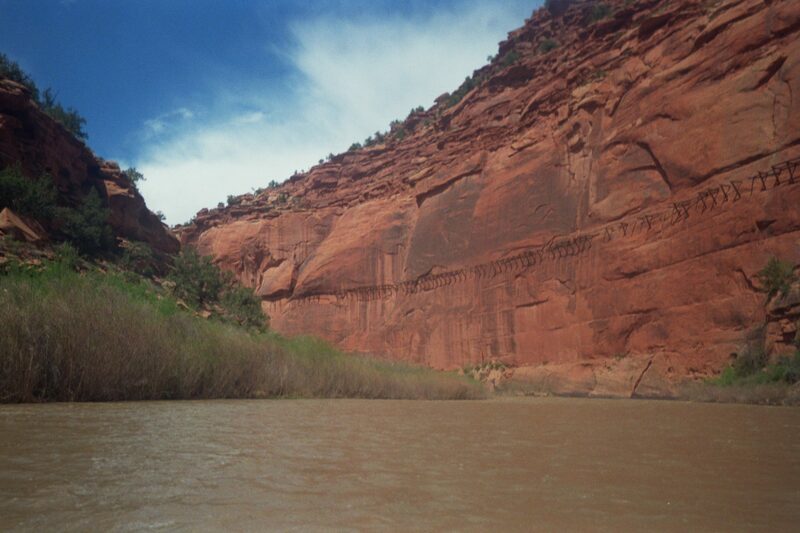 Take a Colorado raft trip like no other on the Dolores River. This multi-day rafting trip is for guests wanting something extra special and unique. Get lost in the red canyons of southwestern Colorado on the Dolores River Three-Day rafting trip. 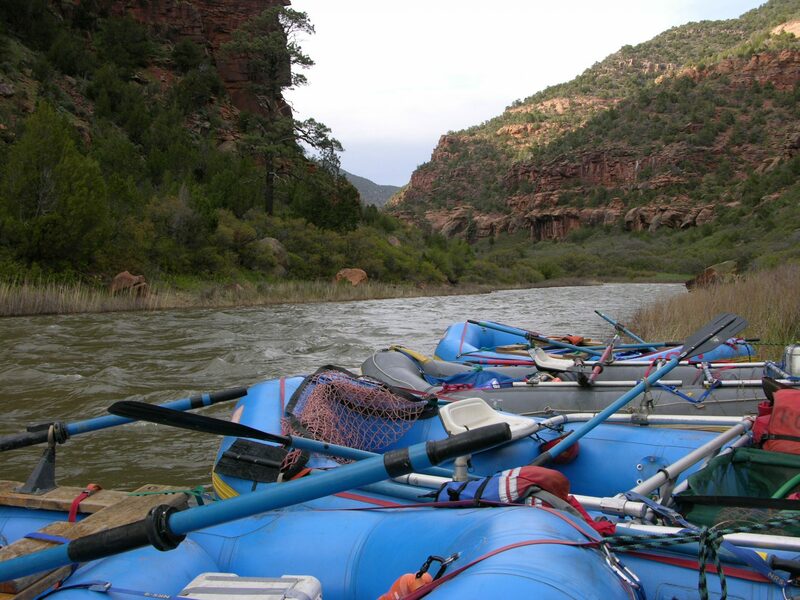 Long recognized as one of the most beautiful multi-day raft trips in the U.S., the Dolores River offers towering canyon walls, meandering curves, stunning campsites, and stellar whitewater. Due to the early snow run-off in southwestern Colorado, the Dolores Three-Day raft trip runs in late April, May, and sometimes early June. This provides an excellent opportunity for those wanting to start their rafting season early and before water levels in the rest of Colorado rise. A long and winding river, the Dolores flows through canyons packed with enormous ponderosa pine and high sandstone cliffs in brilliant oranges and reds. The river continues its journey from the alpine scenery into the high desert, through canyons dotted with amazing white water, ancient ruins, and untamed wilderness. KODI Rafting’s two-night, three-day Dolores raft trip starts at an elevation of 6,400 feet at Bradfield Bridge and continues down to Slickrock. The water here is fast but of moderate difficulty with only a few rapids to interrupt the peaceful flow of the current. During your three days on this beautiful Colorado river, you’ll see Anasazi ruins, petroglyphs, and perhaps a variety of wildlife, including bighorn sheep, mule deer, river otters, peregrine falcons, and bald eagles. 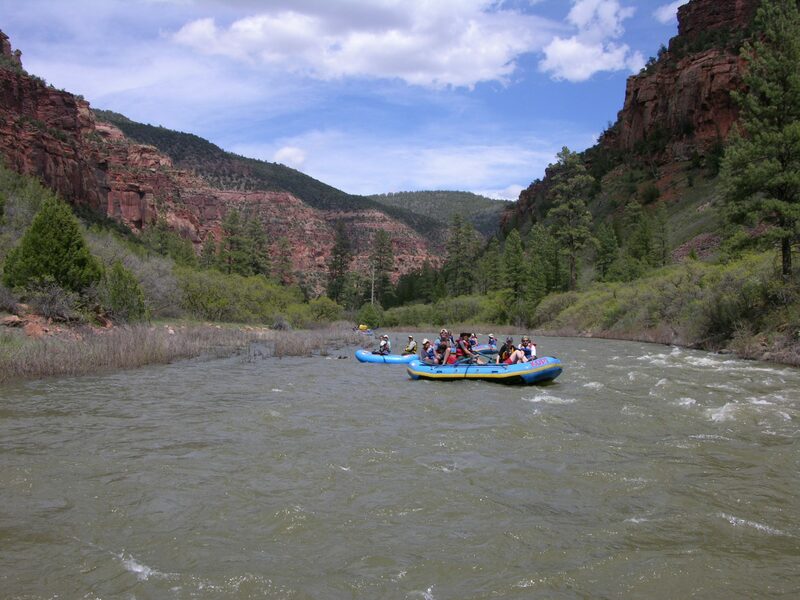 The Dolores River Three Day raft trip runs very early in the season. If you would like to join this trip, please contact us in advance and we will add you to the call list and let you know when the trip will go. Bonus? This makes the trip feel uber exclusive! 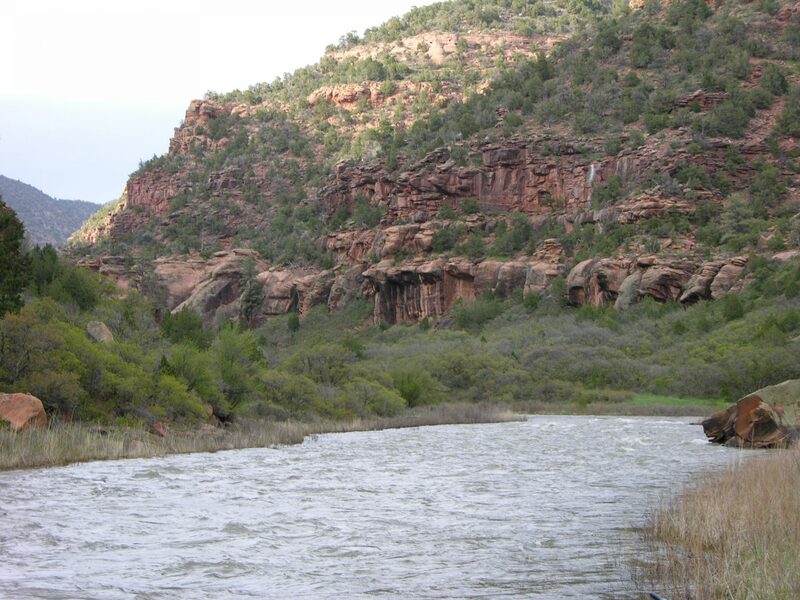 Cool fact: The Dolores River is dammed at McPhee Reservoir near Cortez to irrigate about 61,660 acres of arid plateau land. In some years, almost all the water entering the reservoir is diverted, leaving only a small, legally mandated minimum flow to pass downstream. **Tents, sleeping bags, and sleeping pads are not included but are available for rent. You can also bring your own.